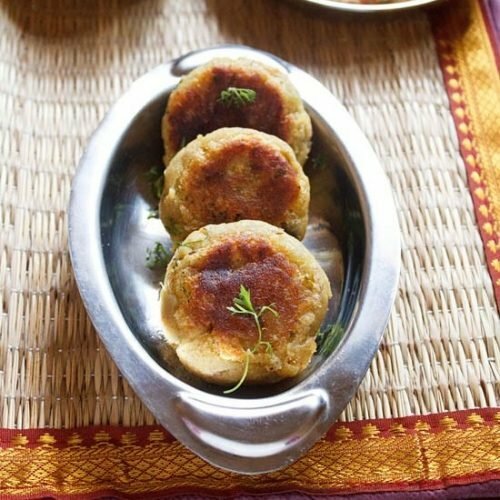 shakarkandi tikki recipe - fasting recipe made from sweet potatoes or shakarkandi. 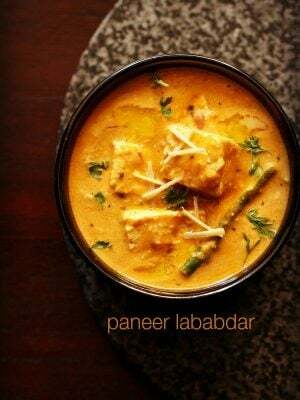 sweet potato tikki recipe with step by step photos – one more recipe for the navratri fast or vrat. sweet potato tikki or patties is very easy to make and does not require much effort and time, especially on days when we fast. 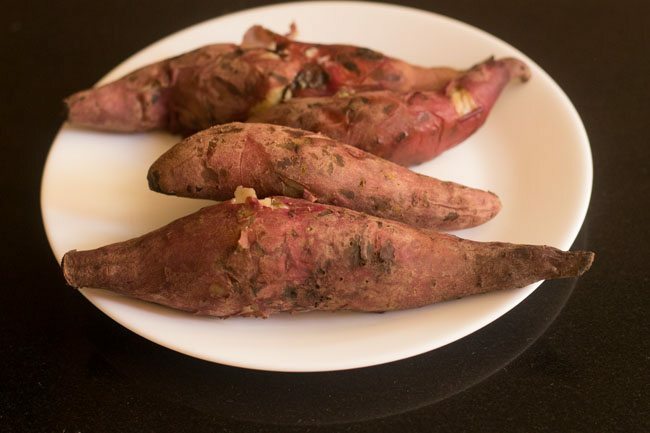 so when you get bored of having potatoes, then sweet potato is a welcome change. 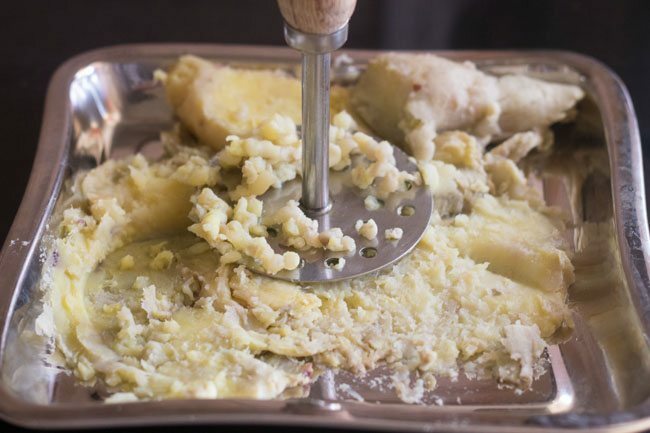 if you like potatoes, then you can make the same recipe with potatoes. 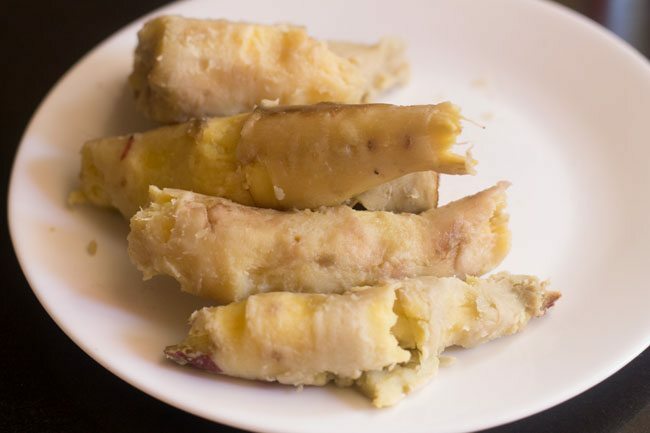 whether with sweet potatoes or potatoes, these tikkis are delicious. 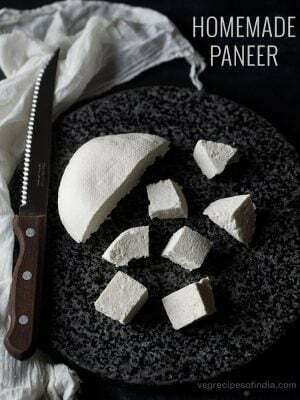 few more snacks recipes which you can make during fasting days are shakarkandi chaat, farali patties, arbi tikki, sabudana tikki, sabudana vada and farali batata vada. serve the sweet potato tikki with a phalhari green chutney or coconut chutney or even sweet tamarind chutney and you have nice comforting snack. for binding the tikkis, i have used arrowroot flour. 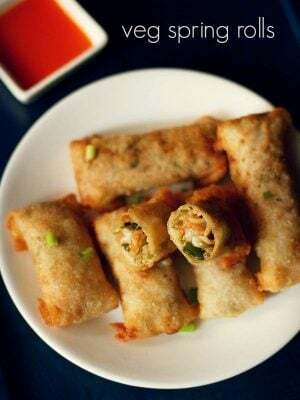 if you cannot get arrowroot flour, then you can use water chestnut flour or buckwheat flour. when making during a non fasting season, you can add corn flour also. 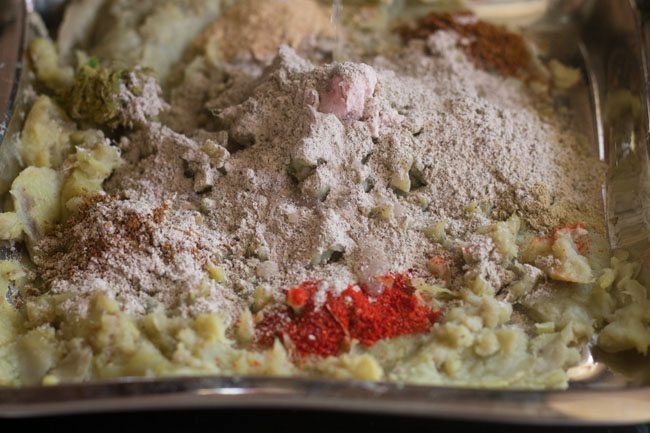 remember to use sendha namak (rock salt) in the recipe, when you are making for religious fasting or vrat. on normal days you can use black salt instead of sendha namak. 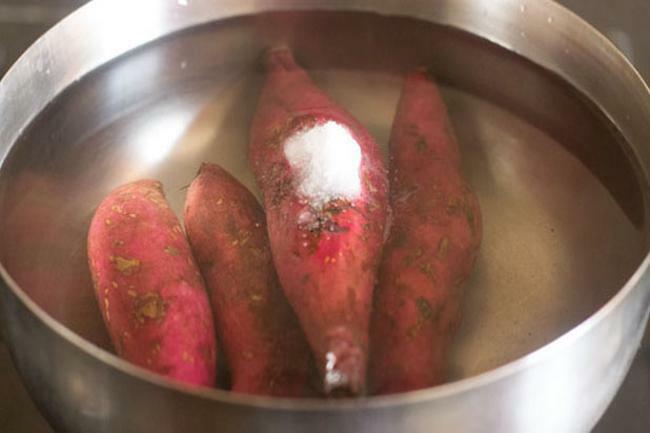 rinse the sweet potatoes well in water. roast them in the oven till they are cooked and soft. or else pressure cook with enough water & salt till they become soft. you can also boil them in a pan with water & salt. drain the water. when they cool down, then peel them. with a potato masher mash the sweet potatoes well. add all the ingredients except oil. mix well. shape into medium sized tikkis or patties. 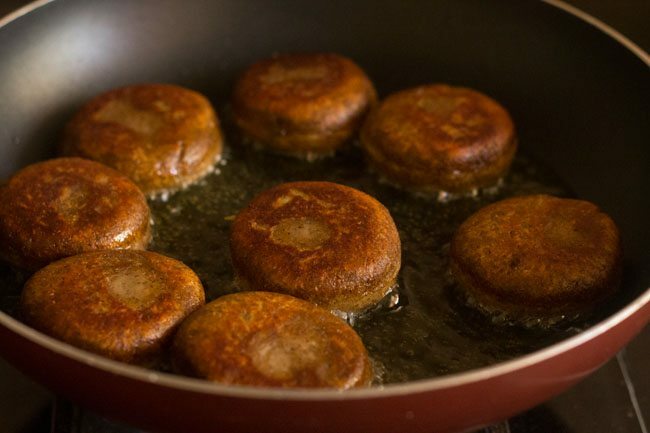 pan fry the shakarkandi tikkis with little oil till both the sides are browned. while serving garnish with some coriander leaves. 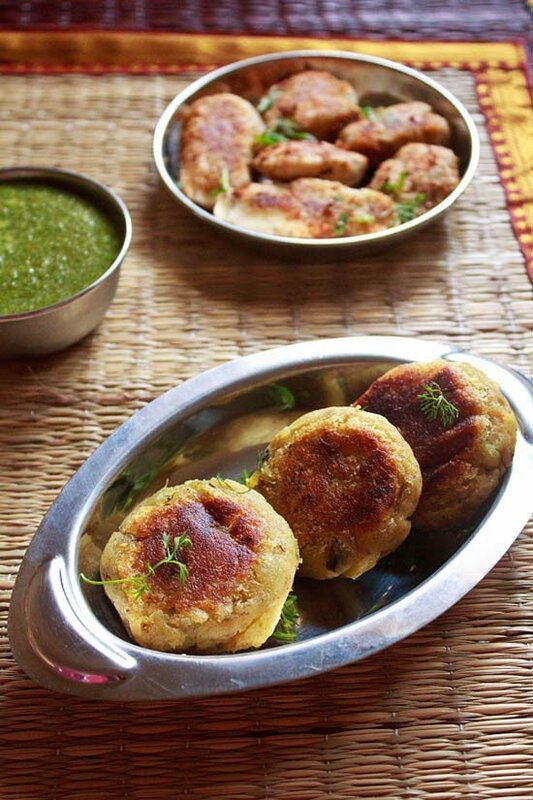 serve sweet potato tikki with a chutney or sauce. if the mixture feels a little loose, then add some more arrowroot flour or buckwheat flour. when making beetroot tikki for fast or vrat, then please add sendha namak (rock salt) only. don't use regular salt for fasting food. if you are not making these tikkis for religious fasting or vrat, then instead of rock salt, you can use regular salt also. if you cannot get dry mango powder (amchur powder), then just add lemon juice. 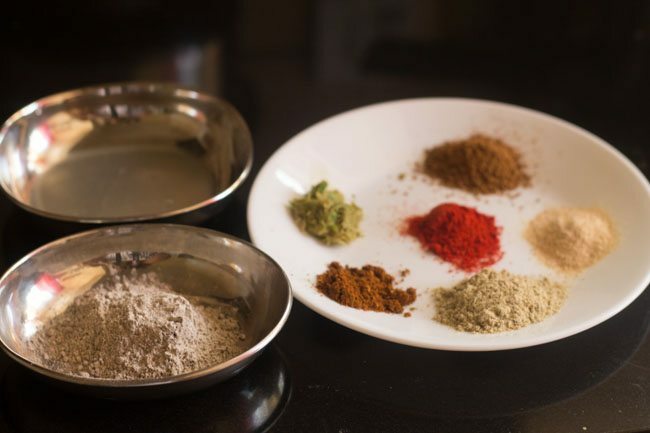 the spice powders and lemon juice can be adjusted to your taste preferences. 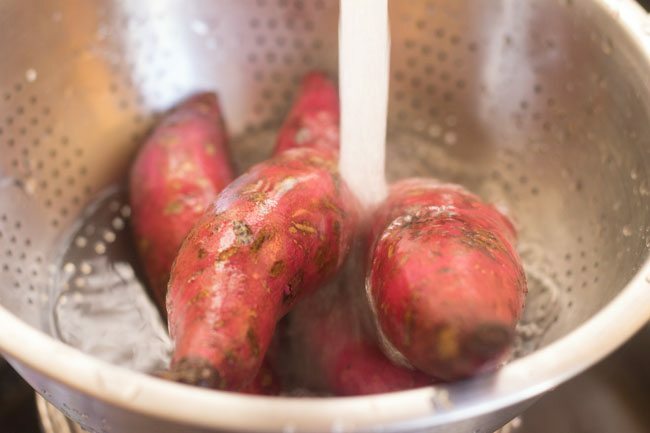 1. rinse 4 medium sized sweet potatoes (shakarkandi) well in water. 2. roast them in the oven till they are cooked and soft. or else pressure cook with enough water and salt till they become soft. you can also boil them in a pan with water and salt. 3. drain the water. allow the sweet potatoes to cool. 4. when they cool down, then peel them. 5. with a potato masher mash the sweet potatoes well. 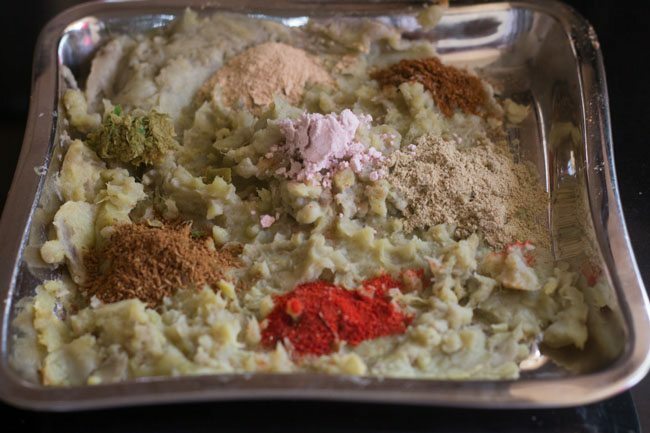 6. measure lime juice, spices and keep all the ingredients ready for making shakarkandi tikki. 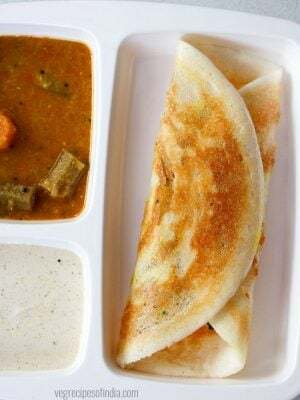 7. add 1 teaspoon roasted cumin powder (bhuna jeera powder), ½ teaspoon amchur powder (dry mango powder), 1 teaspoon ginger-green chili paste, 1 teaspoon chat masala, ½ teaspoon red chilii powder, ¼ teaspoon garam masala powder and sendha namak (rock salt) as required. if you are not making these tikkis for religious fasting or vrat, then instead of rock salt you can use regular salt also. 8. next add 1 or 2 tablespoon arrowroot flour or water chestnut flour or buckwheat flour. i have use buckwheat flour. 10. shape into medium sized tikkis or patties. 11. pan fry beetroot tikkis with little oil till both the sides are browned. 12. while serving garnish with some coriander leaves. serve sweet potato tikki with a chutney or sauce. I am your big fan Dassana. You have made cooking so simple and easy. Can i add chopped onions and coriander leaves to this? thanks parvathy. of course, you can add onions and coriander leaves in the tikki recipe. many variations can be made. I am a big fan of your recipes. Am planning to try the tikkis today, however I do not have any of the mentioned flours. Can I use maida / besan or any other substitute? looking fwd to your response. thanks charuta. you can use any flour for binding. like maida, besan or rice flour. if using besan, then lightly roast it and then add. 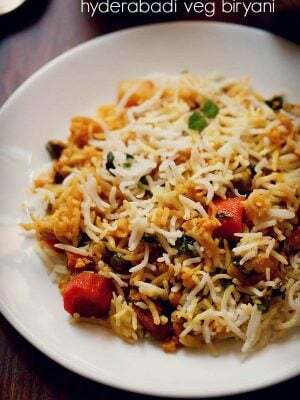 rice flour and maida can be added without roasting. Interesting! I ‘ll make it for Ekadasi. thanks priya for sharing your positive feedback and experience. glad to know this. welcome anu. thanks for sharing your positive feedback. I’m newly married and don’t really have a genius record in cooking. But your blog has come as a saviour for me. Since my entire family is a foodie so in order to impress them your blog is a huge help. 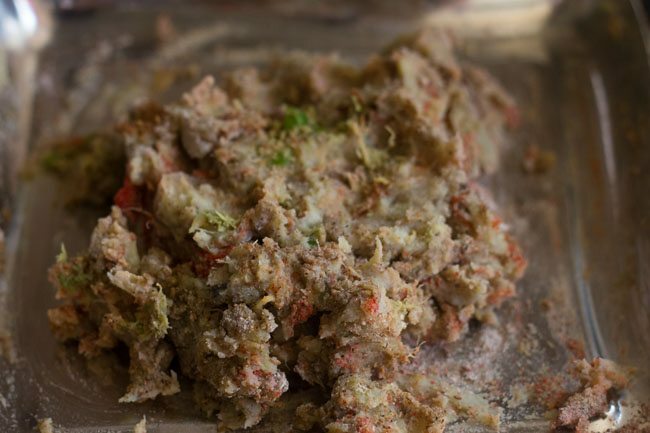 Today while going through the blog I came across navratra recipes. Voila! It has made my day again. I was thinking of trying out this recipe today. Can you tell me what should be the consistency of the tikki. Looking forward to your response. thanks garima. glad to know. the consistency of the sweet potato tikkis is like aloo tikki. I want to try this recipe and was wondering if I can use rice flour or any other flour than the 3 you mentioned? you can use rice flour or corn starch, if not fasting. if fasting for navratri, then you will have to use either of the flours mentioned. 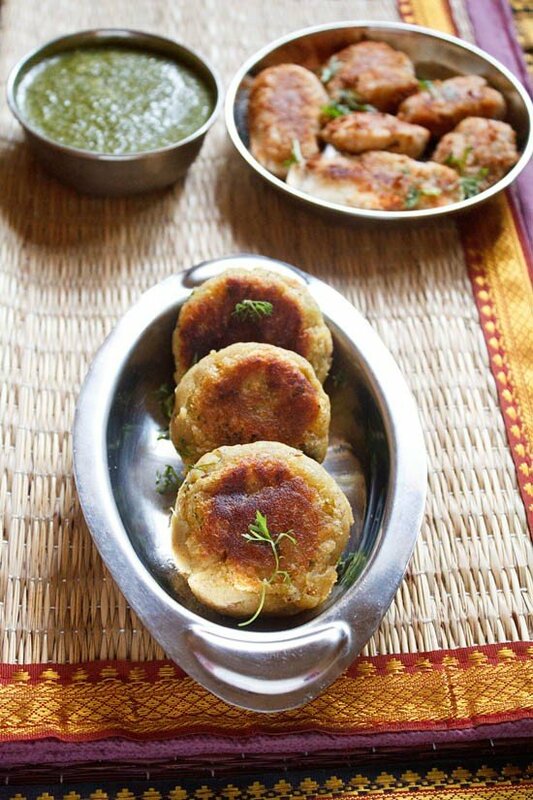 Aww.. love the aloo tikki, Awesome recipe! Will try it for sure.. You do have a nice blog! I love the use of sweet potatoes in this traditional recipe! 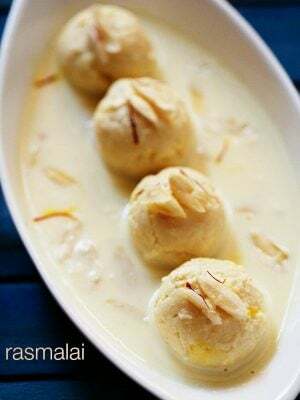 Dassana….step by step pictures of the recipes ….is that feature…which makes ur blog really special and interesting…please do make them part of ur post…. dear renuka, i think you must be familiar with their hindi names. water chestnut flour is singhare ka atta in hindi. 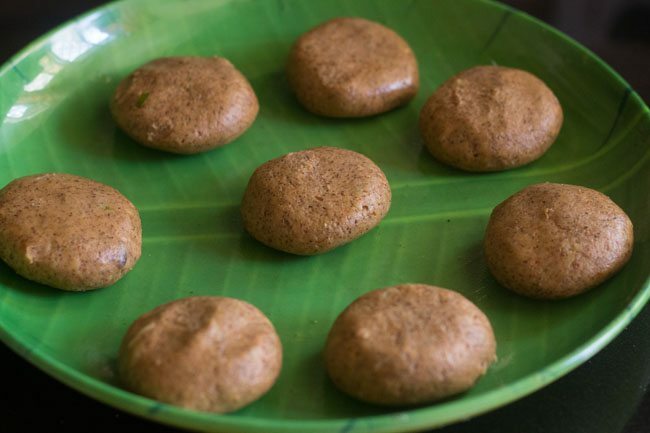 buckwheat flour is kuttu ka atta. commonly used flours during fasts. when it is a difficult or complicated recipe, i do make a step by step. but when the recipe is easy like this one, i don’t do step by step. step by step photographs take a lot of time and effort. it takes me two days to make one post, if i do step by step… that also working 2-3 hours everyday. whenever possible, i do try to add step by step pics. moreover when cooking also, taking pics at each step takes a lot of time. i do it all alone, as there is nobody to assist or help me. in fact even my camera has flours, besan on it…. i have to clean my camera & lens periodically. Those look delicious. I love Indian snack food. Have you done a post on what exactly the Indian fasting season means in terms of food restrictions? If not, you should. I confess I am always baffled since I feel like you shouldn’t be eating anything (under what I understand the word fasting to mean)! dear laura, i was thinking about doing a post, but not yet. will do it some time. in india generally when we mean the word “fast” it means abstaining from meat, poultry, sea food and alcohol. 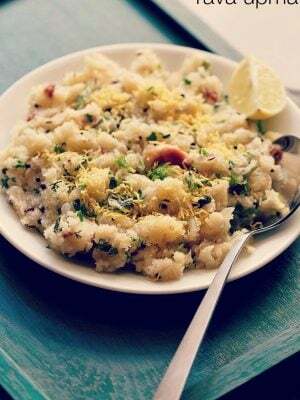 but there are some indian festivals like the navratri and ekadashi (11th day of full moon and no moon cycle) where food made from cereals, lentils and legumes including onions and garlic are not eaten. even products made from these, like pasta, breads, tofu, pappadoms etc are not eaten. so it is not like we don’t eat anything. we eat satvic food and this helps in not only detoxifying the body, but also in purifying the mind and the emotions. I have never tried this kind of sweet potato tikkis. sounds interesting. Looks very appetizing. Does this taste more sweet that spicy? obviously, it has a sweet taste due to the sweetness of sweet potatoes. the tikki is not spicy at all. it is little tangy and sweet. ok. thanks for replying. 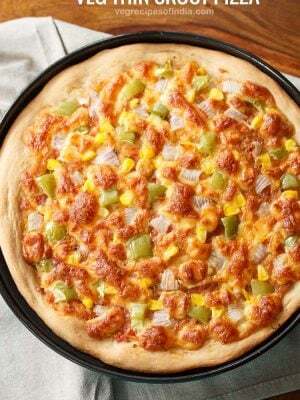 I am planning to make this soon. These look delicious. I wonder if anyone has noticed weight gain during navaratri. All bloggers seem to be preparing these delicious snacks all the 9 days. Perfect for the rains here…my next post is also on tikkis 🙂 Like the sweet potato in tikkis. Love seeing all fasting recipe on your blog. I love all kinds of tikkis, pattices and cutlets. Will be trying this sweet potato tikki soon. Beautiful clicks. Love your photography. i did not receive any comment from you on any of the three posts except for the pingpack which is automated… i checked the spam folder and this above comment – one of it has gone there. there are no other comments. i must have deleted yesterday night the spam comments 🙁 usually i don’t check the spam comments as i get lots and i just delete them. i wonder why it is behaving so strange. will look into this.